St Lucia’s police force kept ‘death lists’ of suspected criminals and planted guns at police shootings to make them look legitimate, according to a report. The Caribbean island’s prime minister Kenny Anthony said a team of Jamaican investigators had delivered an ‘extremely damning’ report on the deaths of 12 people shot by officers in 2010 and 2011. Mr Anthony said the report, which has not been made public, revealed that the shootings were ‘staged by the police’ but reported as murders by unknown assailants. Four Shot At Football Match As Thousands Run For Their Lives: Jamaica? Guyana? No… Barbados!!! 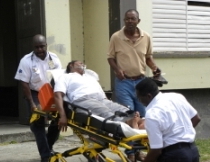 The Barbados Advocate and the Nation call the shootings an “incident”. 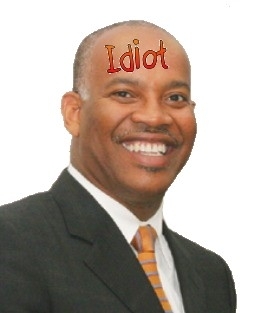 We call it Barbados out of control – the natural result of what happens when you combine no rule of law with no effective police force and a top-down culture of corruption in government that has permeated everyday life. 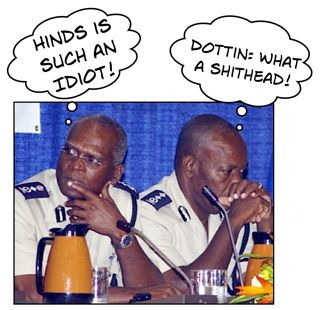 It looks to us like 15 years of starvation wages for the Royal Barbados Police Force and 15 years of corrupt governments are the chickens that are coming home to roost.